In this online application, the quality of the image does not deteriorate as the size of the image is resized to the actual picture resolution before it is specifically resized. In addition, in the online application, you can easily make effects like cropping and shedding. 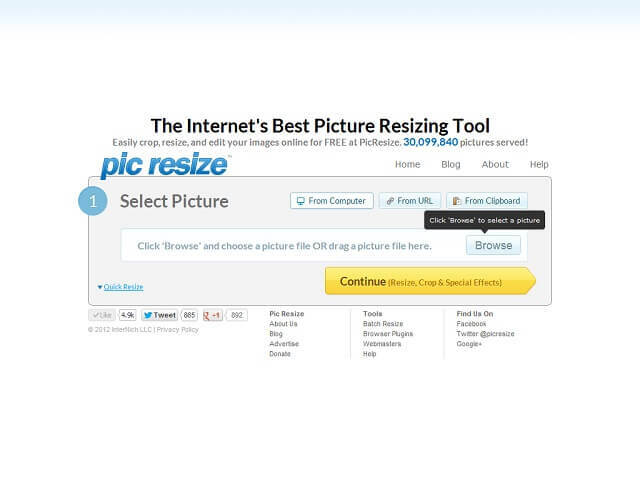 As in the PicResize online application, it performs the resizing process and is very similar. The only difference is that the dimensioning feature is extra. It is a pretty handy resizing tool for resizing images. It supports multiple types of image files, but is very good for compression, resizing, etc. You can also process multiple files at the same time. As the name implies, it is an application that targets social media networks (Facebook, Google, YouTube, LinkedIn, Pinterest, Instagram and Twitter ...). You can easily do custom image sizing for social media networks. Another simple and useful tool that allows you to compress and resize image images. It supports only the width sizing in the re-sizing process. The main purpose of this site application is based on processing raw images. Converts images to standard formats such as JPG and PNG, and also allows you to size them. Go2Converter web site Provides support for more than 200 image file formats. This web site allows you to compress and resize images.